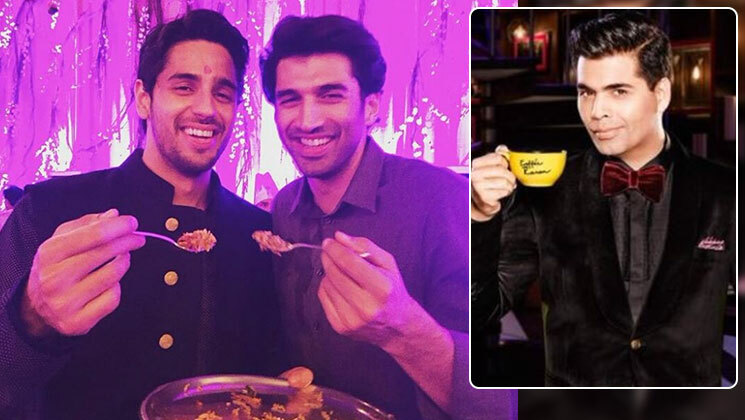 ‘Koffee With Karan 6’: Aditya Roy Kapur and Sidharth Malhotra to share the coffee couch? Home Bollywood Gossip ‘Koffee With Karan 6’: Aditya Roy Kapur and Sidharth Malhotra to share the coffee couch? One of the most controversial shows on television, ‘Koffee With Karan 6’ premiered on October 21 with the gorgeous ladies of B-town – Deepika Padukone and Alia Bhatt. The second episode was graced by two energetic actors – Akshay Kumar and Ranveer Singh. This season, we are aware of the guests of the upcoming episodes as Karan, the host of the show has been treating the fans with the pictures from the sets. The third episode will have Aamir Khan as the solo guest. Now, as per a report in DNA, two of the most eligible bachelors of the tinsel town – Sidharth Malhotra and Aditya Roy Kapur will come together for the show. It will be a treat for all the fans of Aditya Roy Kapoor and Sidharth Malhotra to watch them sharing the same couch. Isn’t it? Karan who keeps on updating us on the show will surely post pictures from the sets. Well, we are eagerly waiting for Karan to announce it.